At this point, you have either saw Jordan Peele’s latest movie “Us,” accidentally read a spoiler on a friend’s Facebook status or read a professional review out of curiosity. Peele’s dynamic, thought-provoking, gut-checker earned well over $70 million dollars in the box office during its opening weekend, kicking Captain Marvel out of the top spot for the first time since its premiere. Much like purchasing your favorite rapper’s sophomore album, you don’t expect much, but you want to support, then you’re pleasantly surprised and happy that you bought it once you get to the last track. Yup, my conclusion for “Us” was just like that. Peele awoken another percentage of the human brain that’s lingered with moviegoers for decades. Disclaimer: Will try not to give too many spoilers, but there will be some, so here we go. 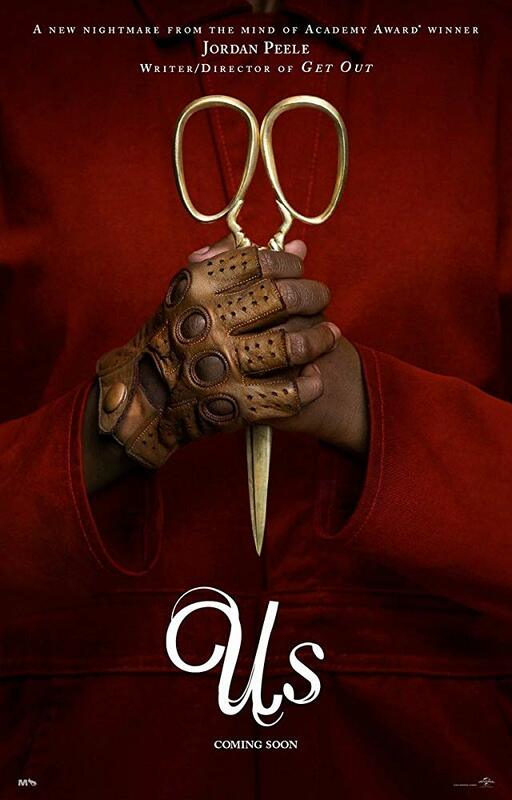 “Us” stars Oscar-winner Lupita Nyong’o, Winston Duke from “Black Panther,” Elizabeth Moss from “The Handmaid’s Tale,” Shahadi Wright Joseph and upcoming actor Evan Alex. The two-hour psychological thriller takes place in Santa Cruz, California, where Nyong’o’s character Adelaide Wilson takes her A-typical American family to their summer home after her mother died. As an African-Caribbean American watching this film in an all-white theatre, I’m smiling inside as the people next to me are either giggling or are emotionless. To me, the Wilson family are a normal working class African-American family. Peele even cast each character with similar skin tones, something most productions get wrong off the bat. Yet, no matter how many of us in the real world earn degrees, pursue a career path and marry before having kids, this image is not your normal Hollywood portrayal of an African-American family. I loved the Wilsons already. And my lonely giggles in the theatre were at Duke’s character Gabe Wilson in his Howard University sweatshirt. I won’t spoil you on why he had me cracking up while the other moviegoers next to me were silent. The theme for movies in 2019 seems to center around women-leading roles. Most people will walk out of “Us” with that conclusion and that’s fine, but let’s tap into that extra percentage. In “Us” Adelaide becomes the shero and saves her family and just her family from their terrorist doppelganger. This film, like “Get Out,” is littered with dozens of hidden messages from the music to the clothes. Overall, it was an excellent film and I have to watch it maybe two more times to get a fuller understanding. To me, for now, the crux of the movie was the most subtle mention of Adelaide’s mother. In 1986, when Adelaide was a little girl she wandered off from her parents while they were at a boardwalk carnival in Santa Cruz. During this moment, Peele was bringing attention to the fact that, Caucasian children aren’t the only ones that go missing. As little Adelaide continues to wander on in the beach while holding a bright red candy apple — a sugar-coated piece of an ingredient to America’s favorite dessert — she never takes a bite. At some point, a hall of mirrors attraction catches her attention, she drops the treat that lands in the sand and goes inside. Her innocence is gone, we later learn little Adelaide is completely gone. Once she’s found, her parents take her to therapy to “try and get” their little girl back. Therapy, a form of medicine society — or Tyler Perry movies, whoever you want to point the finger at — likes to say African-Americans don’t go to, we go to church or write off a mute child without treatment. But, I digress. Fast forward, Adelaide is grown up, married with two children, a boy and a girl and still vacations to Santa Cruz with her mom until her death. No real mention of what happened to Adelaide’s father, but her parents seemed rocky in the 80s. We can assume Adelaide and Gabe have been married for all-over 15 years, yet this particular year, he learns about that 1986 summer. Adelaide’s instincts about her alternate self kicked in after her mother died, the hierarchy change triggered her inner self. She is now momma bear. What saddens me is the frustration of always taking responsibility and not having the luxury of being a damsel in distress. Women always have to operate on 1000. Trust me, we don’t always want to be like this, we want to trust that the men in our life will take on a role or responsibility and not f–k it up. Even Adelaide stepped aside and gave Gabe his moment to shine as she cowered with her babies. What happened? Gabe got injured and Adelaide had to jump in to save the day. Their daughter Zora Wilson witnessed her mom spring into action, she went in swinging — literally — and jumped in the driver’s seat — literally. Gabe’s focus was mostly on trying to keep up with the Jones’ who were Moss’ family the Tylers. The Tylers were also an A typical American family, except one movie maker saw as appealing for decades. The Tylers seemed to have it all, bigger boat, upgraded home and a backup generator. Gabe wanted the best for his family like the Tylers and gladly sat on their throne moments after their departure. This is one of the reasons Gabe made me giggle, I felt sorry for him. Their son, Jason Wilson, while he was the baby, he had some form of a disability, maybe autism, it wasn’t totally clear. But, Adelaide worried more about Jason than Zora to the point I didn’t remember the daughter’s name, but remembered the son. Which could be another reminder by Peele for us women to remember our men. I loved Get Out and this movie looks sick! Can’t wait to check it out. I like Jordans style a lot. Thrillers are what I am hooked on to. And looks like can’t miss out on this one. I might be too much of a wuss to watch thrillers anymore, but this does sound really good. Loved the details in this — thanks very much! It is very descriptive and a movie I will be sure to miss as it doesn’t look like it is for the faint of heart. I love thrillers and now I have to check this one out. I hadn’t heard of it before, but your review makes it sounds super interesting. Nice to see movies being made with black families the main characters and women being the heroes. This movie sounds like it digs deeper than most psychological thrillers. I love movies that explore families through different lenses. Great review! I’ll have to admit that I probably wont be watching this one-psychological thrillers are not my favourite genre (too freaky for me lol) But it really looks like the directors and actors put a lot of effort into this film, and I think a lot of people will enjoy it! Excellent review. I feel I have a better idea of the movie without any real “spoilers”. Thanks. We saw this the day it came out with some of our friends, and it was a pretty decent movie though there are some parts that just didn’t seem to completely make sense. One of our friends compared the movie to him being the new M Knight when it comes to movies. I honestly skipped reading the bottom part of this because I was set to watch it next weekend. I am a huge fan of Get Out! I am curious about this movie but quite skeptical whether to watch it or not since I read a lot of negative feedback from people I know. Great review though. Normally I get bored reading movie reviews, but this one got my attention and really sounds interesting. I will have to tell my husband about this one when we go see Dumbo later in the week. Your review has me hooked! I’m not into scary movies but for some reason I’m drawn to seeing this one!